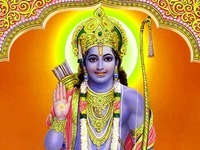 Oh Sri Rama, do I deserve more suffering? Is this not enough? You also deprived me of even a little mental peace. You ordained me to struggle for food right from my birth. You exposed me badly in society. I now realize that your nature is this. Oh Venkateswara the bestower of boons, why is this empty talk? It is believed that Patnam Subramanya Aiyar has composed about 100 urupadis, pieces including Varnas, Kritis and Tillanas and they are in Adi, Rupaka, Chapu and Jampa talas. 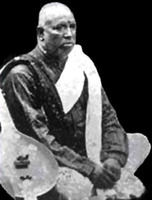 Besides compositions in familiar Ragas, he has Kritis in Sindhumandari, Chakravakam, Kannada, Poornachandrika, Udayaravichandrika, Palamanjari and Bhairavam. Kadanakuthuhalam is a creation of his genius and the Kriti “Raghuvamsasudha” with its captivating chittaswara is a piece in this Raga. On account of the solid musical mould of his Kritis with fine sangathis, he earned the title of Chinna Tyagaraja. The famous piece in Raga Kannada, “Intakante” was composed as a prayer to Sri Rama to free him from the debts he had contracted and to his immense satisfaction, it was answered. On that very day, he called his disciple Vasudevacharya and taught him the Kriti.